Everything I know about fire I learned from being an Altar Server. Fire is hot, it can burn you, and boy it can be a lot of fun! I am confident I can talk to any man who has served in the Altar and their most memorable story will more than likely involve flames. Garbage cans tend to take the brunt of the flames, though, singed hairs, and holes burnt in sticharions, Altar Cloths, and the floor are also fairly common findings. I am not sharing this information only to frighten the mother of the newest Altar Server in our Church, although, that may happen. I am sharing it because service to Almighty God at His Holy Table is like fire, very serious work. Ultimately, service to Almighty God is very serious, and the alternative will burn you. 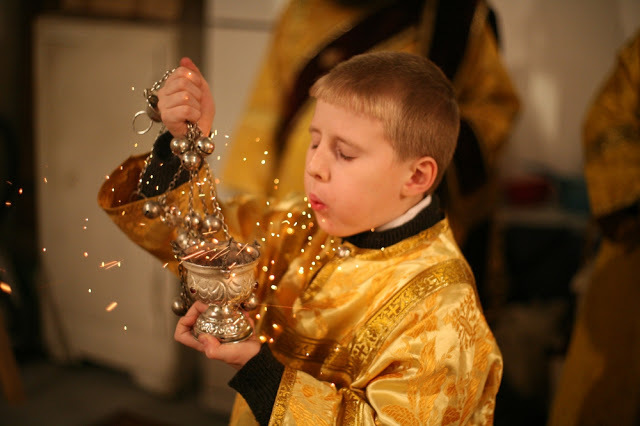 The job which every Altar Server aspires to is the maintenance of the charcoal in the censer. The censer has a top and a bottom. The bottom represents the earth, the top with the cross that looks like a Church reaching into the sky represents the heavens. The in-between space is where you and I reside, between heaven and earth, within I pray, the saving structure of the Holy Church. This means you and me are the charcoal. First things first, we need to be lit, an unlit charcoalis goo d for nothing. It must first be lit by an outside source. The outside source that lights you and me is the Holy Spirit, Who gives life, blesses, illumines, and inspires us to perform all the good we may do by His Grace. 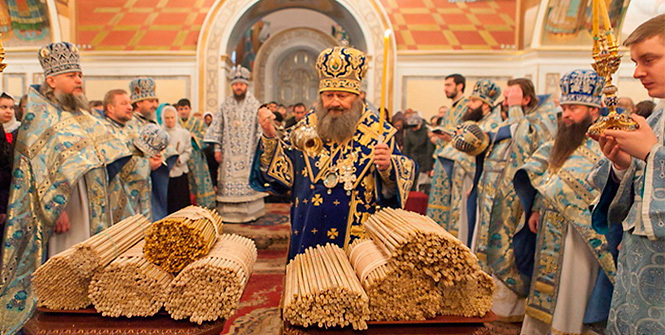 If the charcoal is going to survive the Divine Liturgy, or in our case into eternal life; we have to give everything we are, and all that has been shared with us in service and devotion to Almighty God. This is where the incense comes in for the incense represents our offering, our sacrifice to Almighty God, and our fellow man through both prayer and material offerings. 1. There is the charcoal that gets lit and stays hot for a little while but then gets choked out by a lack of use. This is the person who was once on fire for the faith, who lived an active, and serious Christian life, except now for one reason or another find themselves cold. They are probably still showing up to Church, and from the outside might look a good Christian, but, they are really just going through the motions. 2. 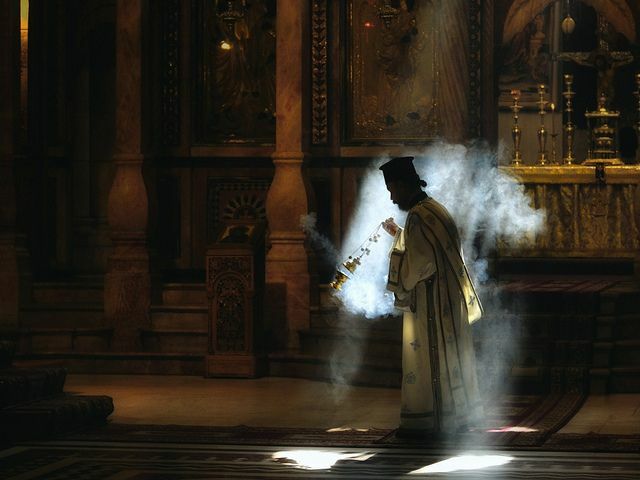 Then there is the charcoal that was lit, and then by a lack of attention or a careless priest goes flying out of the censer burning the carpet, and anything else it may touch. This may be the person who uses their God-given life to fulfil their sinful and pleasure-filled passions. Or it might also be the person who gets caught up in their career, their children’s sports activities, or other pursuits, and simply allows their relationship with God to slowly, or more quickly fall apart. 3. Finally there is the third type of charcoal. This is the charcoal every Altar Server desires. It is carefully maintained, the proper amount of incense is regularly offered, and it stays in the censer until it nothing but dust and ashes. This is the person who has offered their whole life to Almighty God, and who has allowed the Holy Spirit to impact all of their decisions. 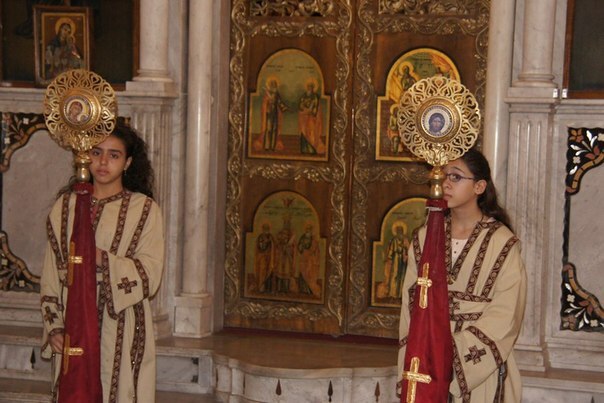 They are overwhelmed by love for God, and neighbor and lead their life in service to Him all their days. At the end, nothing is left, and like the charcoal they return to the dust from whence they came. I do not believe I need to go into detail about which charcoal you ought to aspire to be. But, know that even if you have already gone a different direction there is time yet to be re-lit. You and I who have been supplied with the same spark of Christian inspiration by the Holy Spirit Who enlivens and enriches our lives ought to be inspired all the same to burn in faith till the bitter end. Stay lit my friends.